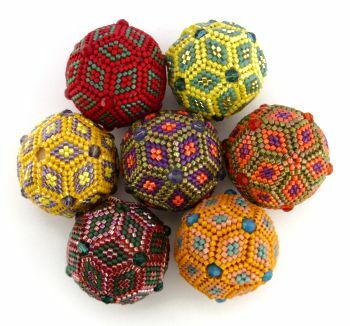 These peyote stitch beaded beads were one of the first items I experimented with when I first started working on my Geometric Series of beadwork. 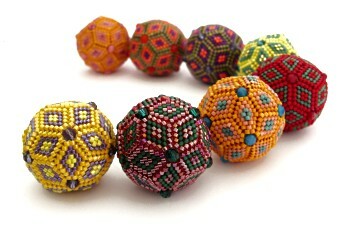 They are great to bead as you can really experiment with colours and finishes of beads. Instructions on making them are available here.